The Middle School Public Debate Program (MSPDP) certifies all judges for its debate competitions. With its companion program the High School Public Debate Program (HSPDP), it is only debate format in the world requiring certification for event judges. Students may begin judging middle school debates in the 10th grade. All adults may judge debate competitions. Each judge must complete certification to judge at an MSPDP event. This is the official training document for MSPDP judging. There are supplementary resources in the Speak Up! textbook. 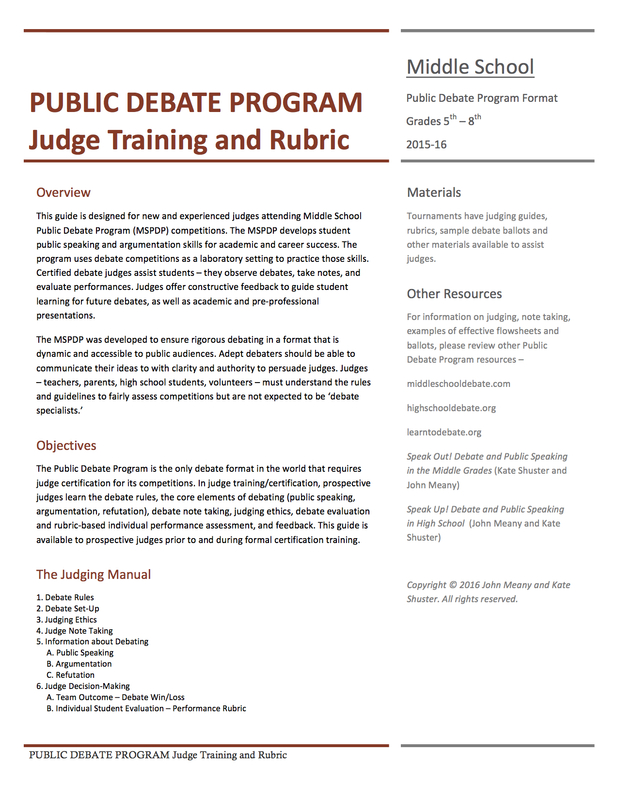 The updated Public Debate Program website (forthcoming Spring 2019) will include additional judging materials. Leagues may supplement judge training but may not alter the core elements of training and student evaluation without the permission o the PDP, which are designed to maximize student learning, based on age-appropriate educational standards and professional communication best practices. 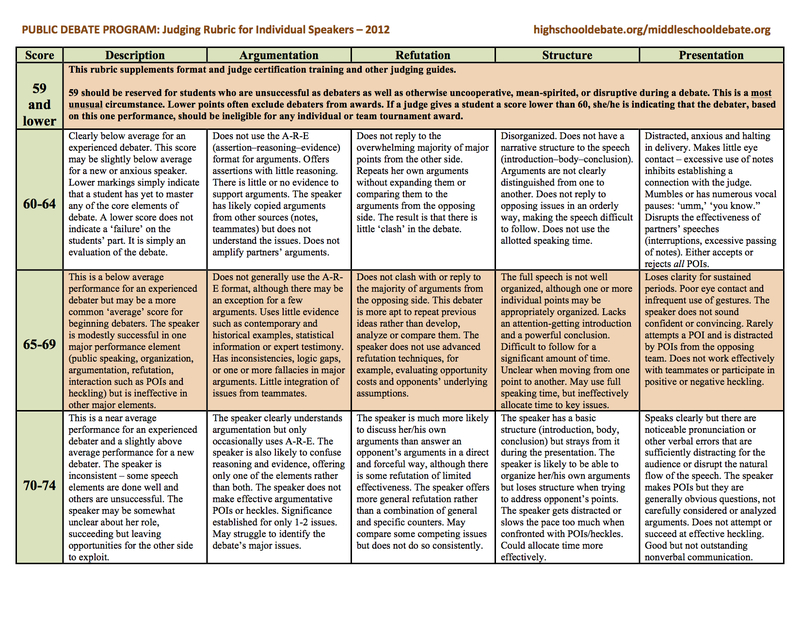 For individual student performances, the MSPDP/HSPDP use a unified rubric (assessment device for middle school and high school students). This is the PDP debate evaluation rubric.